Bits: pay Aer Lingus to fly to your city, interesting new Vueling credit card in Italy, is BA Flight Pass going away? Aer Lingus launches a competition to win a new route! It is a topic that is rarely discussed but almost all airlines are happy to accept ‘commercial support’ from local government in return for launching a route to that city. Such deals were a cornerstone of Ryanair’s European strategy in its early years. “Aer Lingus has launched a Request for Information for Commercial Support for Transatlantic Network Development (RFI). The process presents a unique opportunity for North American airports and their local communities to invest alongside Aer Lingus in the introduction or expansion of Aer Lingus service. Multiple studies have shown the economic multiplier benefits of international air service. Aer Lingus would operate to Dublin, Europe’s fastest growing transatlantic hub, offering both US Customs and Border Protection pre-clearance and extensive onward connectivity throughout Europe. The process is extended to both airports not yet served by Aer Lingus for new route opportunity and those already served by Aer Lingus, for increased capacity/frequencies. The process applies to both the A321LR aircraft as well as existing A330 aircraft, as wide-body capacity may become available by substitution with the new A321LR aircraft. With 12 new Airbus A321 long-range aircraft arriving from next year, capable of reaching the US East Coast, the airline needs homes for them. If your city is on the West Coast, Aer Lingus is happy to take an A330 off an East Coast route and downgrade it to an A321 if the price is right. This will be a quick process and we will know in under two months who has offered to write the biggest cheque, obviously in conjunction with Aer Lingus modelling of potential passenger volumes. 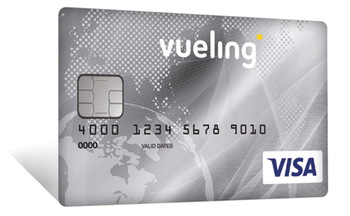 Vueling, BA’s sister airline which also uses Avios as its reward currency, has just launched a Visa credit card in Italy. It is worth taking a look as – since Italy has the same 0.3% interchange fee cap as the UK – it is likely to be a similar model for future UK airline cards. The model is now becoming standard. An annual fee, relatively low earning rate but numerous ‘soft’ and status benefits for people who fly the airline. 20 annual credits towards Vueling Premium status. You will only need 20 x one-way flights instead of the usual 40. I don’t know anything about the Italian card market so I can’t comment on how willing people are to pay annual fees, or how this card stacks up in the competitive landscape. My gut feeling is that the package is weak given the €49 fee unless you are flying Vueling in the sweet spot where you don’t currently qualify for Premium but would with the 20 extra credits. IAG has also launched new Aer Lingus and Iberia credit cards in the United States this week, but there is little value in comparing the benefits to EU cards due to the huge interchange fees charged (600% higher than the EU rate) which fund the rewards. Is BA running down Flight Pass? Flight Pass is no longer available for sale for use beyond 31st December. All 12 month passes have been withdrawn – we need to see if 9 month passes are withdrawn on 1st April. OptionTown, which runs the scheme for BA, is not responding to queries. If you don’t know about Flight Pass, via this OptionTown link, you can buy route passes for economy travel on flights from Heathrow, Gatwick and City. There are a huge number of pricing permutations based on how many people would share your pass, how many tickets you want, what expiry date you are willing to accept and how close to the date of travel you want to book. You can buy a pass for one route or for an entire country. For example, you can buy 12 one-way flights from Heathrow to Newcastle for £605, so £50 each. This includes taxes. You must use them within 3 months AND must book 90 days in advance. At the other extreme, 12 one-way tickets bookable up to 4 hours in advance will cost you £131 per seat. Given the huge number of pricing options, it is impossible to say if this offers decent savings or not but I know many frequent air commuters use it. Note that you can only book return flights with Flight Pass which means that it is less flexible than you may think – you may be able to book your outbound with just four hours notice but you need to lock in the return at the same time (changeable for a fee). You have last seat availability. If there are still seats for sale, irrespective of the price, you can book them – as long as you are inside the booking window of your Flight Pass. There are no blackout dates or minimum stays. All of this is irrelevant, of course, if the product is now on its last legs. EDIT: Comments below suggest that OptionTown has run the product down before, and then kicked it back to life, so it may not be the end ….. Exclusive HFP competition: Win two Premium Economy flights to New York - and YOU pick the airline! OT: If I book 4 Hilton nights (advanced non refundable purchase rate) using the Amex £50 off £250 spend, would it work? Thanks in advance. It isn’t meant to work, but provided that the hotels charge your card before the offer expiry (you can call them to ask if they don’t), it has worked in the past. It’s a real shame about the Flight Pass, it is a really useful product for maintaining a consistent cost. I hope that IAG/BA consider implementing something similar with BAEC or Avios. OT. Any recommendations for a solid 4-5* hotel in Seoul for 2 nights? I’ve not yet done my planning but we don’t want to be too far from good restaurants (and if you have any tips for Korean restaurants (inc BBQ), please let me know). I have the usual Hilton, IHG (and will have another AMB cert), SPG/Marriott and MR currencies. Thanks in advance. Conrad Seoul is great if you dont mind being in the business district. Easy 1 hr bus ride from airport; great riverside views; didnt get charged for 10am checkin (useful for redeye flights); massive gym; grand breakfast. Not much around in terms of sighseeing but easy enough to get a taxi /subway into more central areas. There is an area about 20 mins walk away with loads of restaurants. We’ve booked Plaza Seoul, easy to get to, close to restaurants and as Marriott gold we get lounge access and breakfast. My wife suggests Samwon Garden and Siksinhot for BBQ, it’s a little pricey, but in reality most restaurants will do you good food. Often restaurants specialise in one type of Korean food. Be prepared for the staff to be concerned that it’s too spicy for you, there is an assumption that westerners can’t handle spicy food. My favourite food in Korea is probably korean fried chicken and beer ordered to the park by the Han River though! Conrad Seoul is quite nice from what I saw, only been for a drink however. It’s a city containing a great deal of good food. Choosing randomly is mostly fine. I’ve stayed at the IC Grand Parnas and really liked it. It’s a solid hotel, but location is a little further out than you may be wanting. Would also recommend the IC Grand Parnas if you need to be in Gangnam (for work), was there two weeks ago. I think it’s a bit far from the rest of the city otherwise. The Seoul Courtyard (Marriot) has been mentioned positively on HfP a few times. Courtyard Namdaemun has an excellent location and is right next to the street markets where food is served. They have an EL (Gold/Plat access) and the staff were great during my 5-night stay there last spring. The rates were a lot more reasonable than the true 5-star places but this is Asia and I felt the service levels were definitely 5-star in any case. Bear in mind that Seoul is an expensive city these days and you can put it in a similar bracket to Tokyo, HK and Singapore. Thanks all. Taking everything into consideration I went for the Courtyard. Great value (£100 a night on hotels.com, used Tesco voucher as better than 25k Marriotts a night) with a cracking location and EL access. Fantastic. OT. Are there any sign up bonuses for Heathrow Rewards scheme at the moment? There is still the offer on the Avios site for 3000 pts for £150 spend till the end of the year. Thank you Liz. I’d forgotten about that. I’m not sure that lack of availability for 2019 means this is about to be killed. I’m pretty sure that each year this has run, availability for the next calendar year doesn’t open up until quite late on. Optiontown are pretty poor at responding to queries so I wouldn’t take that as a signal either – Rob, have you heard other murmurings about this? I hope it’s not being killed off, I find it very useful for my regular trips. I was just about to say the same. It happens every year for some reason so there’s no reason to panic just yet. Now there’s CE on domestics I really want to see a CE flight pass. What’s more annoying is they rarely update the destinations list (e.g. they still offer LCY-ABZ despite that route no longer being operated by BA). It’s worth noting that the 4 hours notice Flight Pass gets 20 tier points rather than 10 with the other fares. Both can be a good deal. You’re effectively getting 10 TP rather than 5 if you take the 90 day option for dirt cheap fares and if you go for the flexible option then you still save money while getting the top rate of economy TP. Neither are good value solely for the TP but if you needed to make the trips anyway these will likely save you money. Also you get On Business points on these, just remember to manually add your number to manage my booking. I looked at Flight Pass but if I remember correctly, you can’t book in Business and you can’t earn tier points (or avios?) on the flights. So I never signed up to it. See my earlier post, you do earn tier points, Avios and OnBusiness points on Flight Pass. I’d never have used them otherwise! OT Anyone else having issues logging into Avios? Error on site said to ring them, guy told me best to use Internet Explorer. Well done, I’m on a Mac!!! Are you on the UK site? I’ve had issues with it defaulting to the USA site but when I change location to UK it works fine. This is as OT as OT will get… I’ve got £1.50 left on a prepaid mastercard – don’t know what to do to get it off! I can’t top up Amazon as Amazon take a pre-auth of £1, so when it tries to take off £1.50 it fails. Can’t top up 50p as minimum top up on Amazon is £1… Can’t load PayPal account from a card as far as I can see. Any other thoughts? You should be able to use it on Paypal to send £1.50 to someone you know as a ‘Friends and Family’ payment. Paypal no longer charge a fee for using a credit card for this, since January. Make a £1.50 payment towards a utility/credit card bill? Use it as part payment at a bricks-and-mortar retailer. OT: Has anyone been successful getting Avios to credit from Viator, after booking via the avios.com partner link? They’re meant to credit within 14 days of using your voucher for the activity, it’s been 35 days for one of my bookings and over 14 for the others, and and nothing has shown up. I did chase using the email address listed on avios.com for missing miles but I’ve had absolutely nothing back – not even an automated holding email. I don’t want to give up on them – I’m due around 3000 avios from all the stuff I booked – but there doesn’t seem to be anywhere else to go to chase if there’s no response from the email address. Kathy, I had an issue with a viator voucher not arriving last year. I contacted their customer service via email and they sorted it out really quickly. Have you checked the viator website in case the contact details are different? Also have you raised a case with avios.com? FWIW, I used to know several people who worked at Viator; they all seemed supremely competent and had I ever wanted to buy a service from them I would have had no misgivings. I’ve never had a problem with aviator bookings before, I’m just wondering if there’s problems with the tracking software and there’s someone actually manning the [email protected] inbox. Because all four of my bookings haven’t credited the Avios, and you normally get at least a holding email to say they’ll try to get back to you within x days…. OT – Amex Platinum veterans – we’ve hired a car for a trip to France and my OH is the names driver. He is a supplementary card holder on my Smex Platinum account. We didn’t use the Amex to pay for the car hire. Does the Platinum car insurance policy cover us? Having a lot of issues with “S” today! Yes, no need to pay with it. O/T I upgraded to CW from PE using Avios at the weekend on a flight back from Abu Dhabi and have been credited CW TP instead of PE. I’m aware this is a mistake, would they take them away again? Whilst this is good (plus the extra avios! ), last week I’d upgraded using cash a trip to Sicily in May as I needed the extra TP to keep silver status and now with these bonus ones that wasn’t necessary. Cost £149 which now seems like a bit of a waste. Something funny going on with this, happened to us too. We changed dates and both avios and TP shot up. I have no idea why but I’m not mentioning it and hoping for the best. If they come through it will sweeten the £370 change fee. For benefit of others be aware that if changing an UUA ticket you get hit with both the ticket change fee and the avios £35 change fee. Fingers crossed for you! I’m just going to have to try and get my moneys worth in food and champagne on the flight I needlessly paid to upgrade! We got lucky on this quite a few months ago, no clawback so far. If it makes you feel better I spent a fair bit more than £150 on a mini tier point run to secure Gold and on that I got stuck at Heathrow overnight as missed a connection on the way home. Figured out what’s going on with mine and will certainly not be getting the points unfortunately. Both the original and changed sector are currently on my booking. Once a new ticket has been issued I expect the original flight will disappear along with the associated avios. We upgraded from CW to F using avios at Christmas – we got the 210 tier points + bonus avios for that element of the trip. They didn’t get pulled. Interestingly we have a flight to Abu in two weeks, upgraded from PE to CW (we’re CW coming back anyway) and the tier points are showing as 280 for the trip. The same was true of BA Flight Pass last year – all the passes sold after 31 December 2016 (into at least April 2017) were only available until 31 December 2017, and the 12 month passes became unavailable after 31 Dec 2016, and the 9 month passes became unavailable after 31 Mar 2017. The terms and conditions of BA Flight Pass at any one time say all travel must be completed by 31 December 20xx, so I guess that maybe BA makes a fresh agreement with OptionTown to cover each calendar year? Hopefully this is just the same thing, and passes for 2019 will become available in due course. Ideally BA Flight Pass would be a permanent scheme with fixed no end date, but even if not, I would prefer that there was the ability to purchase the a flight pass to cover the entire remaining period if this is less than year, at the rate for the shortest pass that is no longer available, e.g. if 8 months 14 days remained of the fixed period, you could then still buy a pass at the cost of a 9 month pass which is valid for 8 months 14 days, even though you would be losing 14 days’ of its use, rather than only being able to buy a 6 month pass or shorter. The other change I would really like to see to the scheme would be the ability to book single fares in either direction rather than returns. Given the way BA prices shorthaul fares with a return no longer necessarily being that much cheaper, and singles generally half the cost of a return, this would make the Flight Pass product much more usable. I’d love for BA to relaunch a Visa/MasterCard with the same benefits as BAPP currently offers and the same price. Even if it had to reduce the earnings rate slightly, being able to get 1 Avios / £1 spent (a lower earnings rate than the Vueling card mentioned) then I’d be reasonably happy. I do like Amex in some ways, but being able to use the card literally everywhere without even thinking (especially when considering the Amex Apple Pay issues) would be a joy! I have the BA Amex for the points, but have found worldwide that many places do not accept Amex. Their charges to the vendors are extortionately high (which is how they fund their generous customer benefits programmes). Most main chains accept them, but independent businesses often don’t. This has been the case as for over a decade and hasn’t changed much since. I don’t have a huge issue with Amex acceptance domestically. And more and more small businesses are on board, especially with the increasing prevalence of Square, iZettle etc. for small businesses which all take Amex as standard. But still, I’d love to be able to use one card everywhere, and for that it has to be a Visa or Mastercard. Am I missing something? Why is 1 Avios per Euro on a Visa a low earning rate? I was thinking that. It’s a lot more generous than my Lloyds Avios Mastercard. Because of the €49 fee. Not an issue for a big spender but spend £1000 a month on a card with a £40ish fee and each Avios is subsidised by 0.33p of annual fee. What about Amex Platinum then, its 1 point per £ is ridiculously stingy considering the £450 fee. Most people who have it don’t spend on it, at least on here.